Add a trendy and stylish element to your girl's wardrobe with this chequered dress. 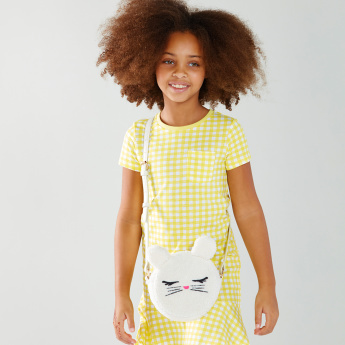 Tailored with high-quality fabric, this dress features a round neck and short sleeves and promises to be soft against your child's skin. The pocket detail elevates its overall appeal.